I know next to nothing about growing grapes, so the title is my only tip. I've always wanted to grow grapes, but I felt there was no suitable place on my property for an arbor. And too, I was leery about going to the expense of having an arbor built while not knowing how to grow grapes. 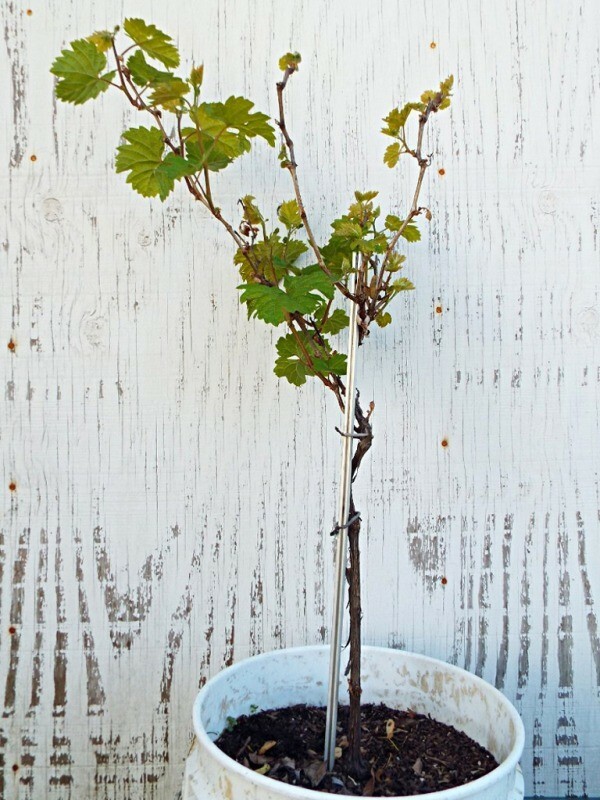 I bought five different grape vines, reduced from about eight dollars to about a dollar. The vines never really did well. The only good to come from the purchase was that I learned how to root cuttings. I can root green or hard wood all day long. No, they did not do well. As a matter of fact, last year not a single grape vine bore a single grape. I was ready to pull up all the vines and throw them away. Then today, I spotted something that changed my mind. The vines that did bear a few grapes set those grapes in late summer. 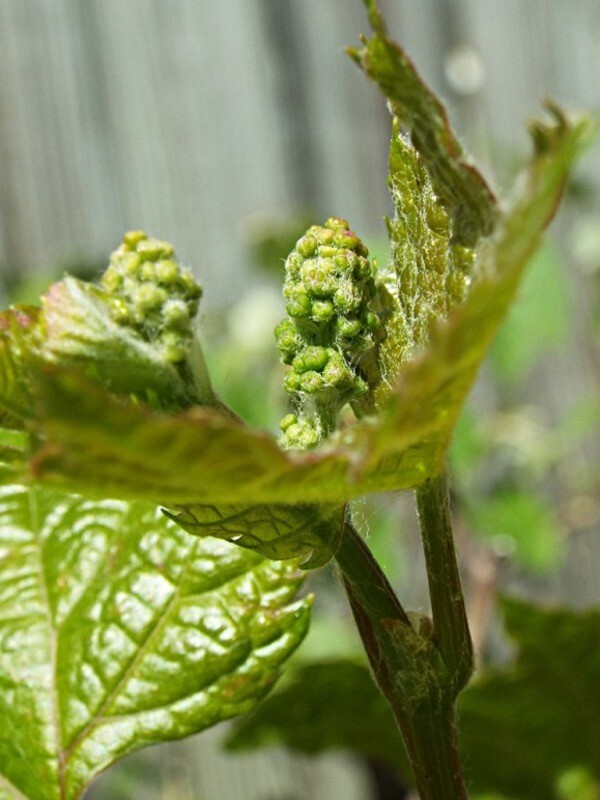 Today, April 02, I noticed that two of my vines are covered in tiny grape clusters. Why so early? I set out to find out why. I googled early bearing grape vines. The Thompson Seedless is one of the earliest to bear. One of the vines I bought was a Thompson Seedless. And two, it was among those I took cuttings from and rooted. In the four or five years I've had these vines, apparently the Thompson was one of those that never bore fruit. Payday is here. Nowhere have I read how long it takes for a young vine or cutting to bear fruit. From my own experience, I would say about five years. My tip again, if you like grapes, don't have room for an arbor, and do have patience; consider growing them in a container. Cuttings must be shaded during the rooting process, but established plants require full sun, all day. I'm gonna have grapes, Y'all! Your experience is encouraging but at my age I may be starting grapes for my daughter. Oh well, what the heck, I will enjoy watching out for all the little changes. thanks again for making us want to experiment with new plants. My vine never had grapes until my husband "accidentally" cut it down. When it grew back it began baring grapes.Some types need to be trimmed back at the end of the season which we found out when he tried to remove it.